Cranes Landing is one of the centerpieces of the Marriott Lincolnshire Resort - located on 170 wooded acres in the heart of Chicago's NorthShore. The property features 384 rooms, four restaurants, a complimentary health club, outdoor and indoor swimming pools with whirlpool, shuffleboard and sand volleyball courts, indoor racquet center, game room, extensive conference and banquet facilities, and the popular 800-seat Lincolnshire Marriott Theatre, with live performances scheduled year round. 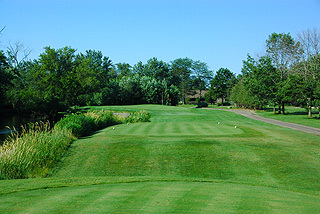 For more info on the wonderful resort, visit their page on our Chicago Golf Resort section by clicking here. 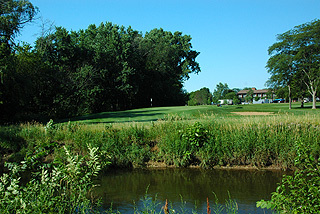 The golf course is a par 70, 6300 yard design created by George Fazio, that features bent grass fairways lined tightly by mature trees, with bunkered greens and scenic vistas of the Des Plaines River and surrounding woodlands. The clubhouse features a snack bar/lounge and pro shop, and is conveniently located within a short walking distance of the resort accommodations. Golfers will find it incredibly convenient to stay here - and there are lots of things to do on a family or business trip. 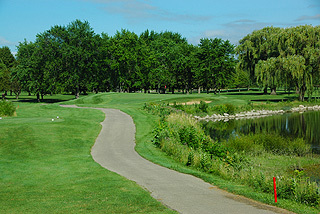 Water comes into play prominently on this course, as hazards in the form of ponds or a winding river affect the tee shots or approaches on 12 holes. 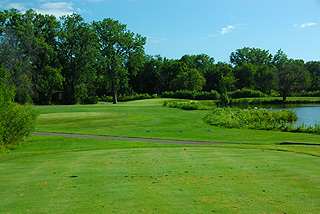 Though short in length, the layout packs some punch as the tightly sculpted fairways are bordered by trees and water - demanding a good deal of accuracy off the tee. Four sets of tees play to distances and slopes measuring 6290 yards/125 slope for men and 135 for women, 5949 yards/123 slope for men and 129 for women, 4728 yards/111 slope for men and 117 for women, and 3620 yards with a slope of 96 for men and 103 for women. 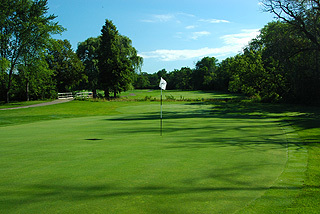 The course is well marked with 100, 150 and 200 yard flags and blocks posted on the fairways and markings also on the cart paths. 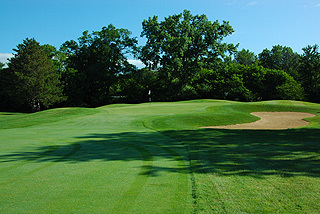 Some sprinkler heads are measured to the center of the greens - which are small to medium is size and sloping in nature. Some of the slightly raised bent grass putting surfaces are crowned, providing momentum for shots to roll into collection areas if they do not land on the correction portion of the green. The back nine can be especially challenging beginning with the 13th hole which has a river running the length of the hole along the left. The long par three 16th will also get the attention of golfers, as anything but a straight and true tee shot will end up in the water or in the bush. 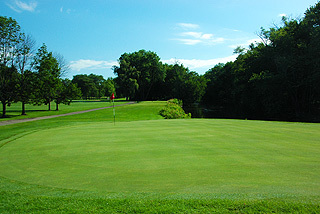 The river is also a detriment to par on the par five 17th, which is the longest hole on the course. 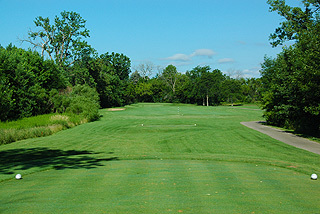 From the two front tees, beginners and juniors can enjoy a comfortable round... while those playing from the tips will be challenged to keep the ball in play. This is resort golf - but finishing 18 with the same ball is a nice accomplishment. There are hitting nets available for a warm up, plus putting/chipping greens. For more info on Cranes Landing, visit our page for the course, with a direct link to their website by clicking here.